Whenever you think of ideal tourist destinations, Rameshwaram manages to tick all the right boxes. This quaint little town realises that there is more to your vacation than the hours spent sightseeing the attractions of the place. Rameshwaram is one of the hidden gems as far as shopping is concerned. 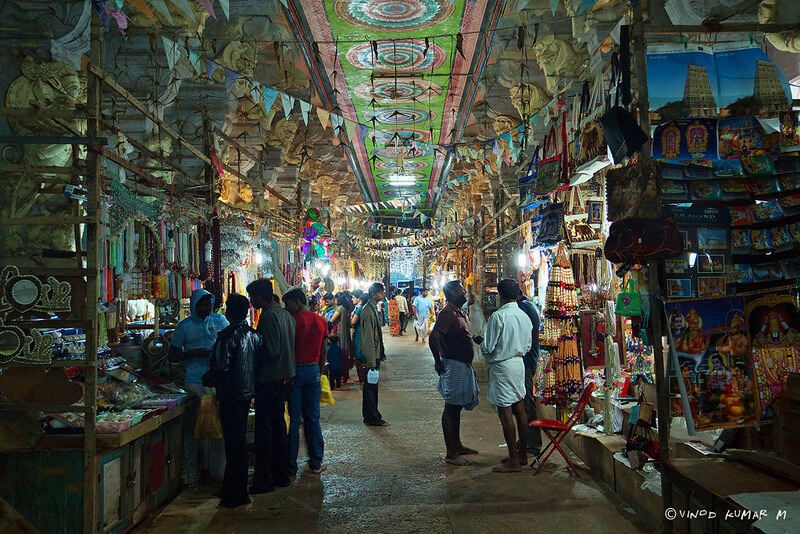 If you allow yourself to be surprised shopping in Rameshwaram can be very addictive. The plethora of knick knacks for your home and exquisite souvenirs for your friends allows you to rest your feet and find relaxation with retail therapy. The Temple Area- There are numerous temples and shrines dotting the major tourist attractions of Rameshwaram. While the pious visit these to seek blessings they try to make their trip memorable by visiting the shopping complexes that envelop the temples and are always crowded with locals and tourists alike. You would be able to discover the specimens of exquisite craftsmanship with the use of palm leaves, beads and seashells. You would also be able to purchase framed photographs of gods and goddesses. The Silk Emporiums- The contribution of Rameshwaram in making the southern pure silk of Tamil Nadu cannot be stressed enough! The silk sarees in this town are weaved with the highest quality of silk threads and can be found in diverse patterns and shades that would leave you astounded with their beauty. Unlike the silk in the other parts of India, these sarees are light as a feather and yet crafted with an attention to detail. Foreigners seek the textile stores out in order to buy scarves, dress materials and sarees. Why deprive yourself of the opportunity when you are in town? Khadi- Rameshwaram is considered to be the shopping hub where the branded khadi dress materials, kurtas, stoles, jackets and shirts sell faster than hot cakes. The woven texture structured out of cotton threads can be fashioned as the ideal winter attire and can any garment scream Indian better than a Khadi kurta? The Local Treasures- The handicrafts fashioned by the local artisans of Rameshwaram can bring a compelling end to your dilemma of what souvenirs to buy for your family and friends. From seashell key chains and earrings to neckpieces, rings and mirrors, the options are limitless. Compared to the other seashore cities, the prices in this town are quite reasonable. You can go ahead with your shopping spree without the fear of burning a hole in your pocket! Shops near the Agni Theertham Sea where you can request your name to be etched on the sea shell surface. At Ramar Paadham, Sita Theertham and Dhanuskodi. The sea shell marts have the diverse options of imitation, pearl and sea shell jewels on display. The Gold shops in Varthakan street have gold jewelleries. The Gandhi Sea shell mart at Market Street. In Kalam Sea shell mart at Mosque street near Abdul Kalam gallery. In the shops surrounding the temples. In Leema shopping at Mosque street. In Varthakan street near the Thittakudi corner. In the shops near the government parking, shrines and near Agni Theertham. In the textile stores at Varthakan street and Middle street. In the Kalam Gallery in House of Kalam. In Agni Theertham, Sita Theertham, Dhanuskodi and Ramar Paadham. In the Sea shell marts near the temples.